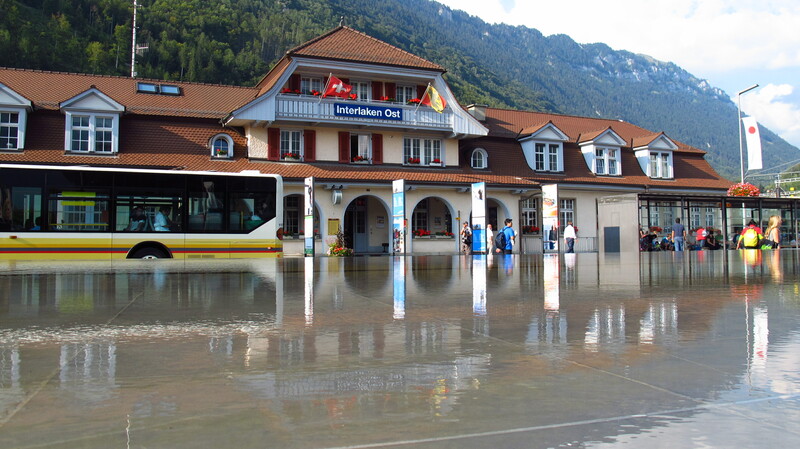 The number one tourist attraction in Interlaken is the Jungfrau. The tallest peak in the region, it stands 4,158m above sea level, and about 600m below that there is an observation center that offers visitors a unique view of the surrounding peaks and that glacier that extends at its feet. What makes this place special, aside from the fact that it is the highest building in Europe, is that tourists do not need to climb up the mountain to get to it, there is a railway that reaches as far up as 3,454m, travelling inside the mountain to Jungfraujoch station, an underground complex that would not look out of place in a Bond movie. From there, a short elevator ride takes people to the observation center. It is an astonishing place and one definitely worth visiting, but there are a couple of things to take into account before deciding to go there. First, it is not cheap. A return ticket will set you back just over 160€. Second, the weather is very changeable at that height, which means that you may end up paying a small fortune just for a fancy train ride and get zero visibility once you are at the top. I had already been there years ago (it cost about 60€ then, which was still expensive for a student on an Interrail trip), so we decided to do something different with our last day before heading home. The campsite rented kayaks, something I had never tried before, and we thought it would be a great idea to explore the lake. We were given a couple of life vests, a water-proof barrel to keep our stuff dry and were told to keep close to the left shore as the various ships and boats we would be sharing the waters with were not very considerate towards tourists drifting onto their paths. We dragged the kayak to the cannal, launched it into the water, strapped the barrel onto it and then managed to sit in the thing without tipping over, which I considered a great success already. We pushed ourselves away from the shore and started paddling up the canal leading into the big lake. 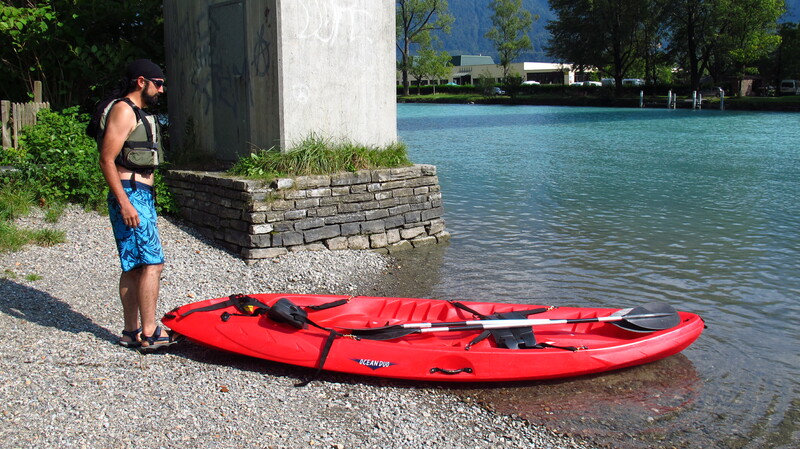 We had decided to go for a tandem kayak, as we thought it would be funnier than getting individual ones, but it soon became clear it had been a mistake. With zero experience, the damn thing was impossible to keep straight. We tried to coordinate the paddling, but it was hopeless, we were just wandering from left to right, from right to left, all the time trying to keep away from passing boats. Every time we got the thing going straight for a few metres, either Nat or I would paddle to fast once or twice, or even just give a small push with the paddle on the wrong side, and the kayak would start turning fast to the wrong direction. After some exhausting experimentation, we discovered that if only one of us paddled it was quite easy to go on a straight line, and I also discovered that Nat paddled harder on her left side, meaning that left to paddle alone, she would go round in big clockwise circles. We also discovered that we had both been trying to paddle and steer the boat, while the right thing to do is have the person sitting at the front just paddle and the one at the back paddle and steer. Having learnt the lesson and having had to stand a few condescending smiles from other more experienced kayakers sailing past and from people watching from the shore and enjoying the show, we managed to make some progress and started to enjoy the scenery. The shores of the lake were lined with quaint wooden houses half-hidden in the trees, and most of them had a jetty and a boat. It was a beautiful day and there were a lot of people sunbathing by the shore or diving into the lake from their back gardens. After a couple of hours we made it to a public swimming area with a floating platform and decided it was a good place to go for a swim before heading back. The water was quite cold, but it was a pleasure to swim in such crystalline waters. On our way back we kept the kayak heading straight and true, like real pros, and we made good progress, which was all the more surprising when after about an hour we realized how far we still had to go. We had the feeling that we had not gone very far from the campsite to the swimming platform – true, we had taken a couple of hours to get there, but we had been going on a very erratic line, struggling to go straight – and now we were becoming aware how how much distance we had covered, which made us feel kind of proud. 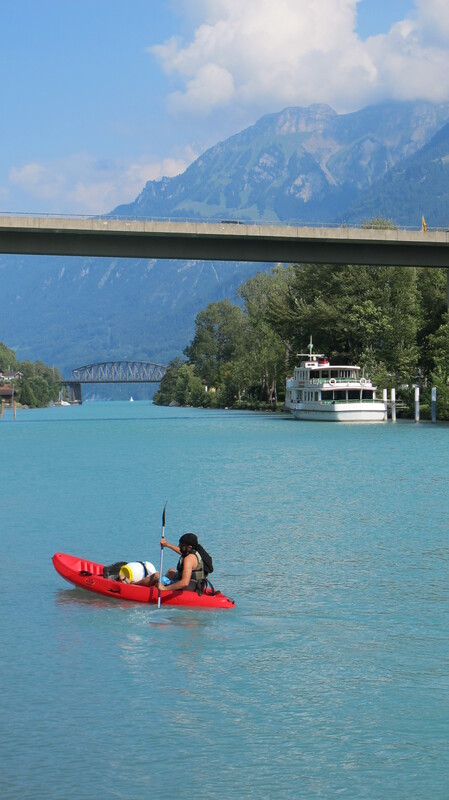 We took a few pictures before handing the kayak back and then went for a walk in Interlaken for the rest of the afternoon. 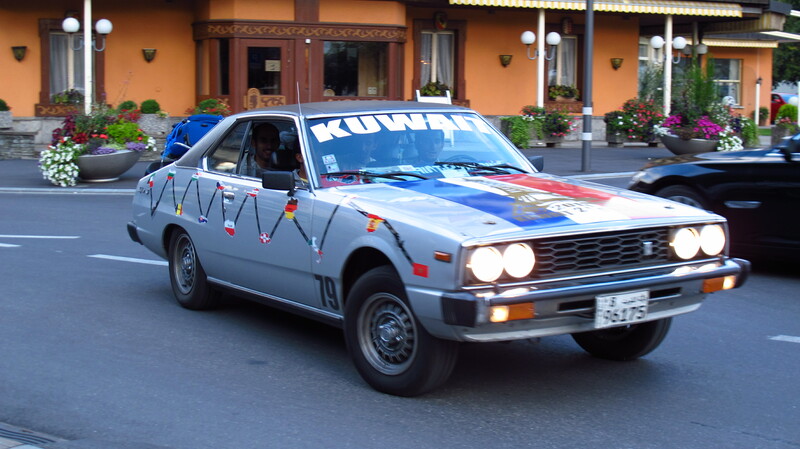 In the center we saw a convoy of old Nissan Skylines that were taking part on a rally going from Kuwait to Morocco via Europe – it looked as if they were having great fun! We bought some food and a couple of beers for dinner and headed back to the campsite to sort out all the gear and decide which things would stay on the bike and which things Nat would take on the plane. As we were packing I realized that was it – the journey was coming to an end. Nat had originally planned to join me only for the Swiss leg of the trip because I thought I would be back in Europe much later than I was and not wanting to do so many kilometers on her first trip on a motorbike, she had decided to fly back to Barcelona, so I was going to take her to Geneva the following morning. In the end though, my change of plans meant that she had joined me in Helsinki and we had travelled for about 4,400km on the bike together. Not bad, taking into account that she did not have proper riding gear and had to wear several layers of clothes and a waterproof jacket underneath a summer riding jacket I had lent her, as well as a pair of hiking boots that were not exactly waterproof. She was very, very brave. 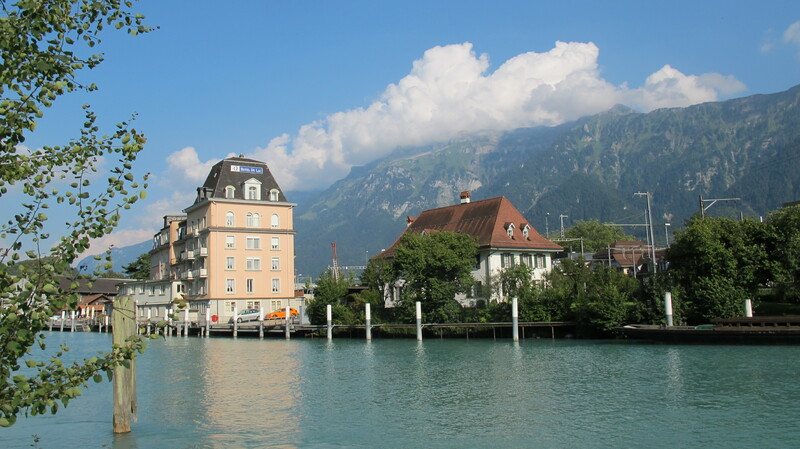 This entry was posted in Stroming The World 2013, Travel and tagged Interlaken, Jungfrau, kayak, STW 2013, Switzerland by Kilian. Bookmark the permalink.